Which Of These Rock Bands Is Named After An English Agriculturalist? What Popular Operating System Has Sugary Sweet Code Names? Fans of rock and agricultural history, today is your day to shine. There are quite a few famous rock bands with names—either real or fabricated—that sound just like human names, like Alice Cooper. But there’s only one band that sports a name that calls back to the days of the British Agricultural Revolution: Jethro Tull. 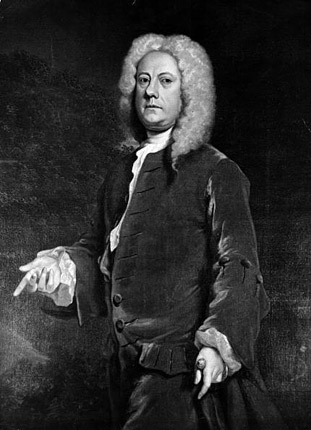 The original Jethro Tull, the pre-rock-and-roll Tull if you will, was a brilliant 18th century agriculturalist who is credited with ushering in a period of increased productivity and bounty in British agriculture with his invention of the “seed drill”. His device, drawn by horse, could accurately and economically sow seeds in uniformly spaced deposits in uniform rows, allowing for radically more efficient planting. Two hundred and thirty some years later, a British rock band formed in 1967 and, led by Ian Anderson, adopted his name. Interestingly, Jethro Tull wasn’t their first choice. The band played under a wide variety of names including “Navy Blue” and “Candy Coloured Rain”, among other equally whimsical names. At the time, it was common for booking agents’ staff to simply slap a name on an incoming act and the band would roll with it. So why “Jethro Tull”? A member of one agent’s booking staff was a history buff and chose to christen the band with that name for a gig. The club manager liked their show enough that evening to invite them back. The band decided that if they were going to be asked back by name, then there might be something to it and the name stuck. We’d say, “The joke’s on the booking agent’s staff!” in light of Jethro Tull’s enduring popularity, but really, the joke is on all of us because now we all know who the real Jethro Tull is and we’re sure the original booking staff member is delighted about it.